A contractual agreement, generally made on the trading floor of a futures exchange, to buy or sell a particular commodity or financial instrument at a pre-determined price in the future. Futures contracts detail the quality and quantity of the underlying asset; they are standardized to facilitate trading on a futures exchange. Some futures contracts may call for physical delivery of the asset, while others are settled in cash. Ridhi Share Broker is a Certified Stock Broking Firm with complete infrastructure of broking services. We started rendering our services in August 2008 & since then, we have crossed various milestones. The Foundation wall was built upon by Mr. Sandeep Sharma, a young budding engineer in August 2008. He, with his far etched vision & knack of precision has brought the company to the highest trading platform. We are a growing India based company with local presence in Jaipur. 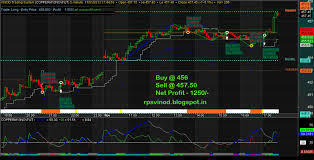 Ridhi Share Broker comprises of an integrated team of like minded experts as Mr. B.P. Sharma, Managing Director, Mr Sandeep Sharma, Compliance Officer and Mr Arun Chordia Operations Manager. These professionals assure you to get faster & better trading results. Our expertise guarantees quality, competence and rapid execution of various services we offer. We offer a sophisticated range of trading, pre & post trade information & IT enabled services, underpinned by world leading trading technology.